A brand-new concept in drums is here at PDP. PDP proudly brings you the Concept Series™, a completely re-imagined line of boutique-inspired drums, designed for every drummer. Designed with research assistance from the DW Custom Shop, Concept Series™ Drums have a fresh, new look, and a sound that has drummers talking. Choose from Concept™ Maple or Concept™ Birch shells, in a myriad of today’s most popular configurations. Add-on toms and bass drums are available to build a custom kit to suit your musical style. Hardware and cymbals not included. Each sold separately. Concept Series™ Drums are loaded with high-end features. The 7-ply Concept™ toms come in our F.A.S.T. (Fundamentally Accurate Sized Toms) sizes for maximum resonance. The rack toms utilize DW’s advanced Suspension Tom Mounts (STMs), while the floor toms stand on our strong, resonant legs. Our 10-ply Concept™ snares include the trusted MAG throw-off, along with fully-chromed snare wires, featuring carbon steel coils and brass end plates. And the 7-ply Concept bass drums are built with die-cast, low-mass claw hooks. Finally, all Concept™ Drums are constructed with DW’s True Pitch tension rods, graduated counterhoop thicknesses, durable and eye-catching finishes, our retro-inspired, dual-turret lugs, and world-renowned Remo drum heads. Concept™ Birch drums are constructed with all-birch shells, and are available in two premium finishes, all with chrome hardware. 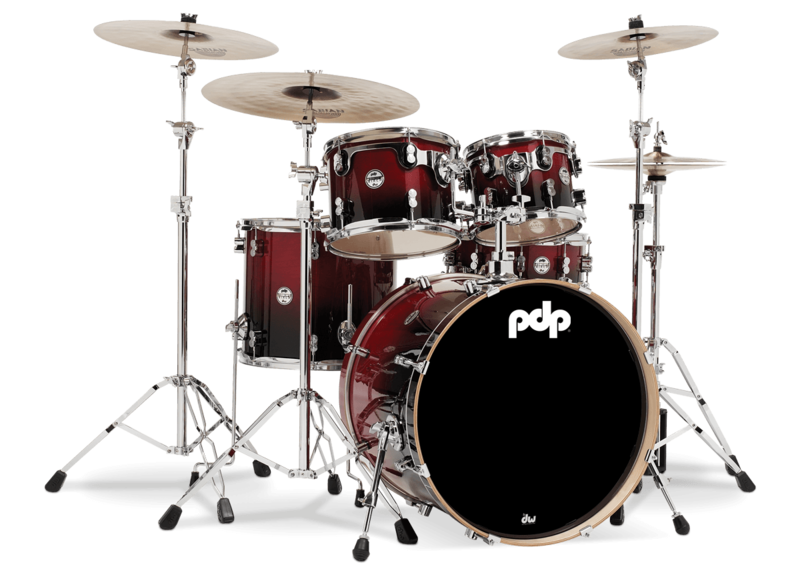 With professional-level features that unquestionably honor its DW roots, the PDP Concept Series™ delivers high-quality, original style that you can see and hear. *Click on the speaker icon for drum audio.